Online Advertising……… Many of you must have probably come across the term “online advertising” before in some form or another. It’s sometimes referred to as Search Engine Marketing (SEM), paid channel marketing, or pay-per-click (PPC) marketing. When advertising online, you have to make sure that you attract the right group of people. When advertising a certain niche, you are able to cut costs down when advertising as well. Most companies who use Pay per Click advertising lose a lot of money because they just post an ad online that does not target a specific group of people, and every time someone clicks on their ad to view the site, then money is taken from your account. 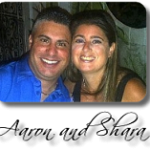 If you are paying a large sum of money each time these people click your ads, then you begin to lose a lot of money. The purpose of advertising when it comes to MLM and Network Marketing is that you have to draw your clients in not to only make a profit, but to also get them to take action. If you are advertising, and you just get a lot of people that just visit the site and not purchase the product or service that you provide, then what is the purpose of even having a website that brings in no profits? Here are some cost effective ways that you can advertise online, and how they can affect your traffic one day at a time. 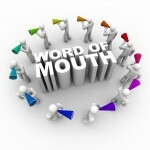 Word of mouth is the best advertising tool that you can have. When people begin to blog about your business or even tell their friends about it on social media sites, then more people begin to visit your site. For example, if you sell toys for young children, you should keep an email list of the different moms or even teachers that visit your site, then send out monthly newsletters and also participate in forums that encourage these people to spread the word about your site. Good customer service to your clients guarantees success in all that you do online. There are certain tricks and techniques that are used for online advertising on Facebook that are very valuable in today’s marketing world. Creating a fan page for your clients gets them involved in your website, they are able to interact with others that are interested in the same things, and you can expand your client list to those who search for different pages on Facebook. There are ads that you can display on Facebook that appears in front of millions of users each day, but be advised that you may have to come out with a lot of money for this service because most Facebook ads that you see are pay per click ads. Blogging has never been useless when it comes to advertising. The more people see that your business is being talked about online through blogging, the more anxious they become to know what your site is about. Certain keywords that are used in your niche can be used in your blogs to bring your site higher in the search engines like Google. Search Engine Optimization is very important because your site becomes indexed. The use of YouTube is becoming very popular when it comes to advertising. Videos are created to capture the potential client’s attention in ways that you could not imagine. More people tune into YouTube than television on a daily basis. The videos are created to provide a call- to- action technique which shows the customer ahead of time what their product or service should be like. Search engines also index these videos because they are connected to your website through back links. You want to make the best out of your online advertising budget, because it can become very expensive if you do not understand how to make it effective. These techniques are free at times, so you have to make sure that you find out which technique is right for you. Feel free to signup for our newsletter if you want tips on how to make online advertising work for you.